Visit our Full Equip by SHAD section and find our proposal for your bike. SHAD offers you a wide range of cases, outstanding for its great quality and high performance. All SHAD cases include in their interior the universal plate and the fitting kit screw set. 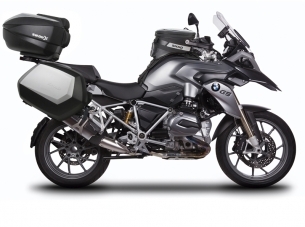 The new 2019 BMW R1250GS Adventure #FullyEquipped by #SHAD. 🗺️Time to go further! Let the #Adventure begin! Happy new year! 📣Very proud to #sponsor the #WorldSBK🏆🏁! Thank you for this video showing the best moments of this season💯. ⏳We are really looking forward to the next one! 💥Arm your #Kawasaki #Z900RS with our #FullEquip to be ready for the next #Adventure🏞! Are you a #SHADRIDER🏍💨?📸📍Tag us in your photos and use #ShadRider hashtag. We close a year in which we have played an active part of #commercial activity, participating in more than 30 international shows📍, consolidating the 📣#expansion of our #brand and intensifying our #presence in more than 80 #countries around the #world🌍🌏🌎. 💪🏻We are now preparing to beat the record on 2019! 2019 is just around the corner, and one more year we will #sponsor the #MOTUL #FIM #Superbike #World #Championship. 🔍Check out the 2019 #World #Superbike provisional race #calendar 📆, beginning with the traditional season opener at #PhillipIsland #Grand #Prix #Circuit. 📣💥For the first time ever, fans will be able to see three WorldSBK races each round. You can not miss it! The #December edition of Revista Motoviajeros seeks the traces of #Roman #History in #Extremadura, and also talks about the #SHAD #2019 new #products presented at #EICMA. Here’s the video of the 76th edition of the #EICMA #Motorcycle #show. Once again, #SHAD was present at the most important motorcycle show of the world. There we presented our #new #range of #CafeRacerBags, the new line of #WaterproofBags, our #SmartphoneSupports and the new #UrbanCommunication hands-free kits. We also celebrated the #45th Anniversary of #NAD with all those who have accompanied us throughout our journey. Thank you very much for your participation and we hope to see you in next edition. Someone can guess which are the #New #SHAD #2019 Products in this video? We will be presenting them at #EICMA Motorcycle Show in Milan from 6 to 11 November. Come to visit us at Hall 22 Stand M29 if you want to be the first to know more about our New SHAD 2019 Products. See you there! 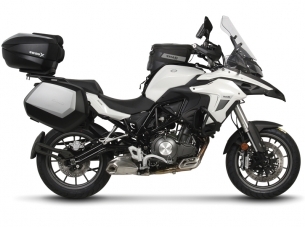 ⚠️If you are an #Explorer, this is for you ➡️The Tiger Explorer 1200 Triumph with the #ShadFullEquip, the perfect combination for any #adventure🏕️. The more #space you have, the better the #adventure will be😉. In the #October edition of Revista Motoviajeros, Quique Arenas presents a report of Caminos de Pasión, a #cultural route of 300 km that passes through 10 municipalities of #Andalucia and offers magnificent stages of #riding, rich #gastronomy, unforgettable #natural #landscapes and famous vestiges of the #past. For those who have an #adventurous #spirit 🗺️. The Triumph Motorcycles Tiger 800 XR with our #FullEquip #SH58X and #SH59X #Expandable #TopCase, the #SH36 and #SH35 #3PSystem, and the #E10P #PinSystem. From 13th to 14th October we will be at AIMExpo (American International Motorcycle Expo), the main exhibition of motorcycles in the United States. A short #holiday 💭 from the daily #routine⌚. This is the Yamaha Tracer 900 and you can equip it with our #SH36 #3PSystem and #E10P or #E16P #PinSystem. Stephen Langitan has succesfully fullfiled a #dream: to travel across #Asia and #Europe with his Kawasaki Versys X-250 and reached #London. During the five months traveling, Stephen immersed himself in the #culture, #nature and #gastronomy of each country and as a result, he has come to find the meaning of his life in the great #adventure of #traveling alone. We are very pleased to have accompanied him through our products: "#Shad products provide the rider with a very comfortable journey without any problems or difficulty, in short terms they create a Peace of Mind ". Warming up for #CIMAMOTOR2018, the largest motorcycle exhibition in Asia. All our latest news at booth N5, hall 5t27-1. Ready, Steady, Go! The Portuguese 🇵🇹️️ round of #WorldSBK has already started🏁! Don’t forget to share your picture with any #SHAD product to win one of 8 E83 backpacks. The pictures with the most votes win! The return of the #king. Equip your 70’s #legend with #Shadfullequip #SH58X, #SH23 #3PSystem and #E16P #PinSystem. From today until next Sunday, we will be in the most known motorbikes fair in Taiwan: Big Bike Taiwan 台大重車零件. #Expandable, #3PinSystem, #PinSystem, among others. #shadrider great picture from Motos Vicente (Cordoba) on a #summertrip showing the fully equipped Benelli TRK 502 with aluminium #EXPANDABLE #SH59X and SH35 in his route through Europe. #Stelvio #Italy. We are always proud to show the #adventures and #greatpictures of our Shad riders. In this case, Bernardo Vives, took some images of nice quiet places in #Colombia. Villages and landscapes discovered with his #motorcycle through astonishing views, with #SW42 #waterproof saddle bags. Talking about our customers is always a satisfaction. Today we bring you the rider #instagramer: Seretilla with one of our products. We had the pleasure of participating in the #ExpoMoto fair. Located at @LicoInPlazaCR, Costa Rica. An exclusive trade show of motorcycles, accessories and products for motorcyclists in the country.This type of event, is made once a year, with the purpose of bringing to the public the options available in the market. 👉 Our EXPANDABLE: #SH58X #SH59XAdventure(TOPCASES) + #SH35and #SH36 (SIDE), they were really players. 👌: Thanks to @honda and @motul for collaborate with us! The Norwegian #fjords are a good alternative for your holidays. If you like great cruises to find incredible #pictures and roads, our #SH59X Adventure is a great partner not to forget. Holidays begin for many people. All motorcycles fans should have our bike ready for some adventures. #Backrest: Do not forget your partner confort. Today we share this video of our friends from Total Motor TV España. The #WarmUp of Misano's WorldSBK 🇮🇹️ Round starts today. Come today at Romagna Shopping Valley (Parking zone). Summer is here, it's time to make great journeys! And its 3 different bags depending on your trip! In this case Bernardo Vives took some images of nice quiet places. Villages and landscapes discovered with his #motorcycle through Asturias and Astorga (Castilla y León) in northern Spain, with the #SW42 #waterproof side bags. What an awesome show in #SouthAfricaBikeFestival: Kyalami Grand Prix Circuit, Johannesburg (South Africa). We presented our new products such as the expandable top case #SH58X, side cases with #3PSystem and #PinSystem tank bags. where #JonathanRea sets a new world record with its #60th race victory! Thanks to Dorna Sports for this AMAZING pics! Have you ever dreamed of travelling to the end of the world? Quique Arenas, director of Revista Motoviajeros made his dream come true and travelled through Patagonia with #shad #pinsystem tank bag #E16P and waterproof rear bag #SW38. A few days ago, we participated in a motorcycle outing, organized by Clustermoto, and sponsored by SHAD. *Check out the video on our Instagram: @shad_motorcycle_cases, ENJOY IT! To celebrate, we are going to launch a GREAT CONTEST. Friends of WorldSBK, the Warm Up tour has arrived in CZECHIA. *PLEASE JOIN THE EVENT, IF YOU COME YOU'LL HAVE THE CHANCE TO WIN SOME SHAD PRODUCTS AND TICKETS FOR THE RACE IN #BRNO. - #SH59X, #SH58X, TOP CASES (#EXPANDABLE). - #SH35, #SH36 (SIDE CASES). - #SH26, #SH29, #SH33, #SH34, our smallest TOP CASES. During the weeks leading up to the WorldSBK race in the UK the #Expandable top case and SH35 panniers made it’s way to 7 cities in England. Next stop, the Czech Republic! We hope to see you there next week! Thanks RadRaven for your #greatPictures! The last stages of this adventure, sensations not to forget! During more than 2,000km, from Fez to the Sahara Desert, we were present, as a technical sponsor, testing our newest products in the most extreme situations. Congratulations to all women!! Happy International Women's Day. A new generation of quick fitting tank bags will be arriving shortly....stay tuned so that you don't miss out!! Are you in Brussels? A great plan for this week is to come to the #BrusselsMotorShow 2018, the most important motorcycle show in Belgium! Come to see the #shad Aluminium Set formed by the #Expandable #SH59X and the #SH35 side cases! Just pass by Bike Design booth in Hall 9, stand 11, and discover our wide range of solutions for motorcycle trips. Just starting the week, fancy a tour through Milan with SHAD? Do not miss the article published in the French magazine Moto Revue: a viking adventure that Bertrand Barraud, a brave french rider, made around Scandinavia & Russia entirely with a scooter. 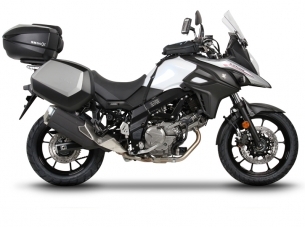 12.000 kilometres during 25 days with a Honda X-ADV fully equipped with #SH59 and #SH35. Very proud of being part of Inspired in Barcelona project, which fosters design as a company key factor. Shad’s NEW #eXpandable Aluminium luggage set can modify its capacity for ALL KIND OF RIDES. The #SH59X is the first and Patented motorcycle case with adjustable volume in 3 positions (46, 52 and 58 liters) and has capacity for up to 2 enduro helmets. Its perfect partner is the #SH35, the Aluminum side cases, mounted on the exclusive 3P (3 Points) fitting system. This Aluminum Set has been created for multiple purposes: the urban day-to-day, road trips on the weekend or even adventure tours through diverse & #challenging terrains. The #corkscrew of Laguna Seca is ready for the weekend! Tom Sykes 66 will try to reduce the distance in the championship with Jonathan Rea at the #USWorldSBK. Chaz Davies will be back after his crash at Misano to give it all! A good chance for the riders to give a nice tribute to the great Nicky Hayden! ¡Este fin de semana vuelve el mundial de #Superbikes en Assen, la catedral del motociclismo! ¿Repetirá Jonathan Rea el doblete del año pasado? ¡No te pierdas el #DutchWorldSBK en el que #SHAD participa como proveedor técnico! ¡Ahí van algunas fotos del stand #SHAD en el Salon Motorcycle de Poznań! ¡En Polonia ya conocen las ventajas de la #SH58X con su concepto #Expandable! ¡El pasado fin de semana Chaz Davies acabó con el domino de Jonathan Rea en el campeonato de #SBK! ¡Echa un vistazo a las mejores fotos tomadas desde el paddock de #Motorland Aragón! Pictures from the Motoh Barcelona that took place from the 30th of March till the 2nd of April 2017! 32.000 people passed by the Fira premises, 25% more than in 2016! Give a look to some SHAD products that were present in the trade show! ¡Por fin! ¡El mundial de #Superbikes ya está en Europa! ¡#Motorland Aragón calienta motores para un fin de semana de carreras! ¿Conseguirá Jonathan Rea volver a imponerse en ambas mangas? ¿Acabarán #Ducati o #Yamaha con el dominio de #Kawasaki? ¡Sigue la #WorldSBK en la que #SHAD participa como proveedor técnico y despeja todas las incógnitas! From the 10th till the 18th of March, SHAD participated as a technical partner at the Africa Twin Epic Tour 2017. Gravel, rocks, sun, snow, extremely hot temperatures and more than 2.000 kilometres proved that SHAD products perform even in the most extreme environments. Ven a MotoMadrid este fin de semana y descubre los últimos modelos de SHAD #SH58X, #SH36 y #SH23. Este fin de semana estamos presentes en varios salones. Aquí podéis ver algunas fotos de nuestra participación en Tokyo y Filipinas, con las #SH58X , #SH36 y #SH23 entre otras novedades. Nuestro "full equip" SHAD acabado Aluminio preparado para un duro test! Pronto más imágenes y vídeos de como fue el evento! MUY DURO Y MUY DIVERTIDO! Las maletas laterales SH36 recibieron el pasado viernes el German Design Award 2017 en la ceremonia de entrega celebrada en Frankfurt. Las SH36 son las maletas más premiadas del mercado, tras su exhibición en la Semana de Diseño de 2014 en Beijing, el premio 2015 Red Dot Design Award y el ya mencionado German Design Award 2017. Our SH36 side cases received last Friday the German Design Award 2017 at the prize-giving ceremony held in Frankfurt. SH36 are the most awarded cases in the market, after their exhibition at the 2014 Beijing Design Week, the 2015 Red Dot Design Award and the German Design Award in 2017. SHAD has been present at the Motorcycle Trade Expo in Birmingham (England), which was held from January 15th to 17th. Three intense days dedicated to present news for 2017 in the most important trade show in the UK. SHAD ha estado presente en el Motorcycle Trade Expo en Birmingham (Inglaterra), que se ha celebrado del 15 al 17 de enero. Tres intensos días dedicados a presentar las novedades para 2017 en la feria profesional más importante del Reino Unido. Le 1er Top Case "Expandable" qui peut changer de contenance à volonté (de 46 à 58 litres)!! Thank you very much guys for your great efforts, as always! Go and visit SHAD booth in Birmingham until tomorrow. Hemos participado en IMOS, la feria de motos más importante de Indonesia. Discover the Unique eXpandable top case from SHAD. We are excited after experiencing the best possible reaction from users visiting the EICMA show in Milano. 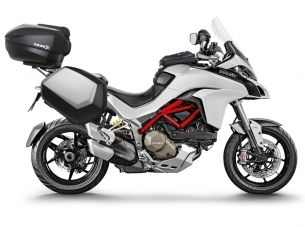 Some of the new products that could be seen at EICMA. Available in the coming months. Novedades de SHAD en EICMA para 2017... atentos a las novedades en maletas rígidas. SHAD Side Cases SH36 have been awarded with the German Design Award 2017. Officially announced on October the 24th, SH36 panniers have rendered themselves liable again for one of the most important international awards, getting a special mention for its excellent design. Prizes are only granted to projects that truly represent pioneering contributions to the international design landscape. Once more, we want to thank and share this awards with all those who with your daily hard work have made SHAD become a leader in the industry. ...Y nada más que añadir, salvo "gracias a vosotros". Some of the main attractions at Intermot'16 in which NAD company collaborated. We feel very proud and grateful to all the brands that rely on us for their new deveolpments. En fait, installer sa bagagerie moto, c'est un peu comme faire un meuble Ikea, mais en plus cool. De camino a la India..En Grecia. Ride Magazine selected SHAD's SW18 waterproof messenger bag as "BEST BUY" for its ease of use, ruggedness and versatility, among 10 models compared. Thanks for your good ratings! Nice review for the #SH36 side cases on #WebBikeWorld . Thank you guys! Here they come again!! The guys of the Superbikes are back!! Don't miss the races this weekend from the new Lausitzring. See some nice pictures from "il mondo dietro la visiera" after their summer trip in Croatia. Our friends Hans and Jaime begin their journey through the Silk Road, surrounded by a good number of fans. From #SHAD, we hope you come back with lots of new wonderful experiences. For the 10th year already, "Les motards du Viaduc" (named after the Millau Viaduct, 2500m long and 343m high) gathered to fight against the Cystic Fibrosis. Keep on Riding!! 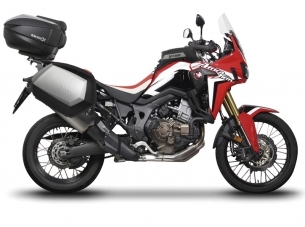 SHAD's full equip proposal for one of the Bikes of the Moment, the superseller Honda #AfricaTwin 2016!! Y CON SHAD COLABORANDO EN EL VIAJE. Estupendas las bolsas estanca para afrontar 22.000 kilómetros. ¿Nos vamos?... Estupenda capacidad de la bolsa sobre depósito. Some more pictures from the BMW Motorrad days at Garmisch last week. Amazed by this SH50 special version seen at the BMW MOTORRAD DAYS, last week!! The Biker4Kids parade achieved a new great success this year, with 2000 bikes and many more visitors that contributed with their donations In favor of the Outpatient Pediatric and Adolescent Hospice Service Dusseldorf. We feel more than happy to collaborate in this great event! Participamos en Design is Future, evento organizado por BCD Barcelona Centro de Diseño, centro del que somos patrocinadores. We participate at Design is Future, an event organised by BCD Barcelona Centro de Diseño, center of which we are partners. Nos unimos al dolor de toda la comunidad motera por la muerte de Luis Salom. Nuestro más sentido pésame a la familia. SHAD at the SBK in Donington round! Some pictures of our presence at MOTOh! Barcelona 2016. SHAD cases were installed on many of the bikes exhibited, as well as some of the most representative seats produced by NAD group. SHAD ha estado presente en esta importante feria, que tiene gran tradición en Japón. SHAD has been present in this important show, which has a very large tradition in Japan. SHAD’s Heated Comfort Seats selected in the USA as one of the 2016 Nifty 50 winners for 2016! See the long product review published by Kevin on the American BMW R1200Rforum.com, about how SHAD’s SH36 Side Cases mount on his new R1200R. It is really a pleasure to receive this type of feedback and review. Even with some minor comments about the fitment kits, which oblige us to keep working hard, it is all very positive and makes the people at SHAD very proud of this job. Thank you very much! 100% complete review of SH39, by Web Bike World. http://www.webbikeworld.com/motorcycle-luggage/shad-sh39-review/ Thank you very much for your comments! SHAD has participated at this show, one of the greatest festivals in Southeast Asia, hand by hand with our dealer Dr. Bike. SHAD has been present at the Motorcycle Trade Expo in Birmingham (England), which was held from January 24th to 26th. Three intense days dedicated to present news for 2016 in the most important trade show in the UK. SHAD ha estado presente en el Motorcycle Trade Expo en Birmingham (Inglaterra), que se ha celebrado 24 al 26 de enero. Tres intensos días dedicados a presentar las novedades para 2016 en la feria profesional más importante del Reino Unido. 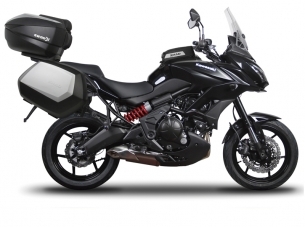 Nueva entrega del programa Más Que Motos donde entre otras novedades, aparece nuestra bolsa de aventura SW38. No os perdáis tampoco la imponente KTM SuperDuke GT o las nuevas Triumph de 2016, equipadas respectivamente con las maletas y asientos fabricados por el grupo NAD. Cierre positivo del mercado español de la moto. Equip your New BMW S1000XR with SHAD! Equipa tu Nueva BMW S1000XR con SHAD! Our new SL58 saddle bags allow you to take all what you need for a ride with safety and comfort. 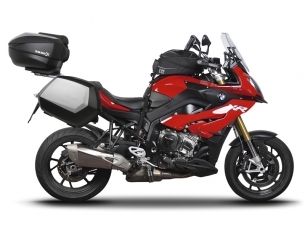 To make them better just check our Side Bag Holder compatibility with your bike. Nuestras nuevas SL58 te permiten llevar todo lo que necesitas para una escapada, con seguridad y confort. 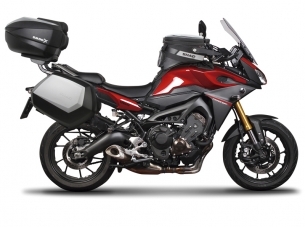 Para mejorar tu experiencia, comprueba la compatibilidad de nuestra Side Bag Holder con tu moto. 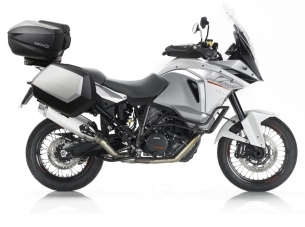 A virtual visit to the Eicma 2015 and SHAD stand. SHAD presented several interesting novelties in Milan. We also equip some of the motorcycles from the major brands, developing and manufacturing seats and side cases for many of the new models presented at Eicma. 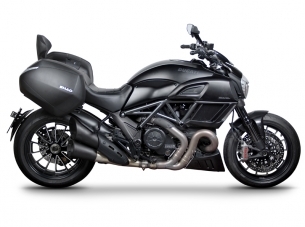 NAD: leading role in Eicma. 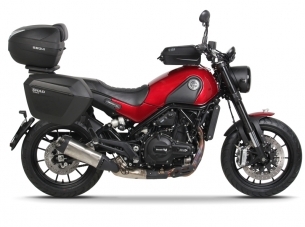 NAD has equipped many of the new motos launched in Eicma show 2015. 100% designed in Barcelona, with more reflective parts for higher security and the new side bag holder, for a better fitment to the bike. Riding around Barcelona, testing our new Semi Rigid Bags. Dando una vuelta por Barcelona, probando las nuevas bolsas semi rígidas. : Know all our other products:cases for quads, fitting kits, bags and backrests for scooters and custom.